The look and feel of your outdoor living space is an important foundation to how you present and interact with your home. Whether you want to throw outdoor parties or cultivate tranquil gardens for personal relaxation, your front and back yards should reflect your personality. Whether you’re up for extensive transformations or a few modest pick-me-up additions and alterations, local professionals are here to help. 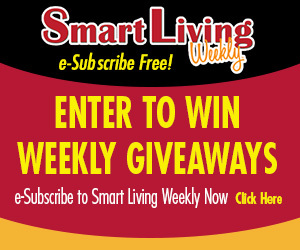 Here, they offer ideas on how to revive your property and create the yard of your dreams. 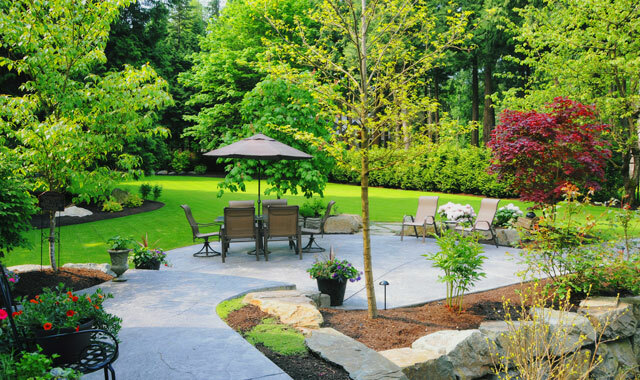 For any landscaping project, Benson Stone Co. offers products and expert advice to make sure you get it done correctly. This 86-year-old, fifth-generation family business carries many full product lines of landscaping materials in its main showroom, 1100 Eleventh Street, in Rockford. From decorative gravel and mulch to patio materials and composite decking, a visit to this showroom is sure to spark ideas. Bricks, pavers, flagstone and steppers for walkways, patios and driveways are displayed. There’s also a huge selection of natural stone for retaining walls, garden and seat walls, outcroppings and decorative boulders. Benson Stone Co. also stocks a range of outdoor kitchen pieces, fireplaces, fire pits, standard barbeque grills and outdoor lighting. Outdoor kitchens and LED lighting are especially popular, says Benson. The business houses one of area’s largest selections of advanced gas, charcoal and electric grills; smokers; pizza ovens; and a range of grilling accessories. The outdoor kitchen of your dreams can be accessorized with additional storage, outdoor refrigerators and granite countertops. Once you have the right products, you’ll need the right tools to see it through. Lincoln Rent-All and Sales, 6635 E. Riverside Blvd. and 3110 Auburn St., is one of the most complete rental businesses in the Rockford area. Its emphasis on customer service, quality equipment and trained staff members who answer questions and educate people on proper equipment use are a real asset for amateurs and trained professionals alike. Customers can rent or buy handheld power equipment, lawn tractors and mowers, shovels and rakes, gardening tools and more, including brand names Stihl, Honda, Briggs & Stratton, Kawasaki, Kohler and Tecumseh. Even if problems come up during the project, the business offers replacement parts and service to help you finish the job. If you’re looking for an update that will last for many years to come, ornamental ironwork is a durable, tailored and elegant option. “These are pieces that are going to last for 200 years,” says Rob Kapala, president of Rockford Ornamental Iron, Inc., 1817 Michigan Ave., Rockford. Kapala says demand for iron has increased in recent years at Rockford Ornamental Iron, Inc., for both commercial and residential properties. His family-owned and -operated business specializes in custom wrought iron pieces for fences, driveway gates, railings, balconies and indoor and outdoor spiral staircases. Many first-time customers are surprised by how customizable ironwork can be, says Kapala. Beyond the customer’s vision, every design is fitted exactly to structural and property specifications. Rockford Ornamental Iron, Inc., only takes on projects that comply with safety regulations and are made to fit perfectly in the space. Every order starts with a free consultation and measurement of the property or installation space. Whether customers have a specific idea in mind or are exploring their options, the staff designers work with them one-on-one to create drafts of the possibilities. After a piece is fabricated at the Rockford facility, the staff installs it on the property. The duration of the process can vary greatly based on its size and complexity and the season of the year. The staff members at Rockford Ornamental Iron, Inc. use a do-it-all approach to whatever customers bring to them. Even for ideas outside of the norm, the small onsite team can use its flexibility to find a solution. This accommodating, attentive standard has been a pillar for the 65-year-old company since its beginning. Kapala’s father, Fred, founded the company in Loves Park while working two other jobs. It operated on a shoestring until he slowly built it up. “I’ve been working since I was 12 years old with my father. This is the only job I’ve ever had,” he says. After studying architecture in college, Kapala returned home to become partners with his father in 1985. Based on his industrial design studies, he steered the company into expanding beyond iron fixtures and railings and into structural beams and columns. The company adapted to changing demands and expanded its offerings. Rockford Ornamental Iron, Inc., stands out for its personal touch. The small details of your yard often have a dramatic impact. Pops of color and lighting complete the look of a total landscape makeover, while a few last-minute additions of plants and furniture styles can transform your outdoor living space without any major construction. K&W Greenery houses a variety of low-maintenance options to add personality to any yard. A full greenhouse, tree farm and nursery caters to gardening needs, while a selection of outdoor furniture, waterproof rugs, weatherproof lamps, grills and garden accessories can add invaluable functionality. Graffin, daughter of owners Bill and Phyliss Williams, has been working at the plant and outdoor living shop since she was a child. She understands that a variety of options and an expert staff are the keys to finding outdoor pieces that reflect your personal vision while fitting your lifestyle. Plants are the natural way to liven up your yard. You don’t have to be a dedicated and skilled gardener, either. Different garden styles can range in maintenance requirements, size and other elements, including what insects and animals they attract. Know your options before you commit to the wrong plant type, says Graffin. Summertime drives more vibrant, uplifting blossom hues, but look for ones that can be smoothly incorporated throughout your color scheme. Brightly colored tropical plants often are misunderstood by new homeowners who may think they require major upkeep. Many species are more adaptable than they seem. K&W Greenery staff members are trying to train customers on how to properly care for tropicals without extra effort. They can be especially beautiful when mixed with annuals outdoors, says Graffin. Other trends for this season include all-weather wicker furniture, outdoor swing chairs and solar-powered lighting. K&W Greenery also houses an entire Design & Build Landscape Division for homeowners stressing over major projects. Two full landscape designers are on staff to handle everything, whether it’s planting trees and shrubs, creating flowerbeds, designing and installing a brick patio or creating a garden pond. “It really caters to the higher-end things that people don’t know how to get started with,” Graffin says. There’s no limit to what you can do with your landscape when you combine your personal vision with the expert advice and high quality products available to us in our region. This entry was posted on Wednesday, June 29th, 2016 at 11:59 am	and is filed under Home & Garden. You can follow any responses to this entry through the RSS 2.0 feed. Both comments and pings are currently closed.